This case was made for long time LM Cases customer World Wrestling Entertainment. The case is designed to house support equipment for WWE's touring IT department. 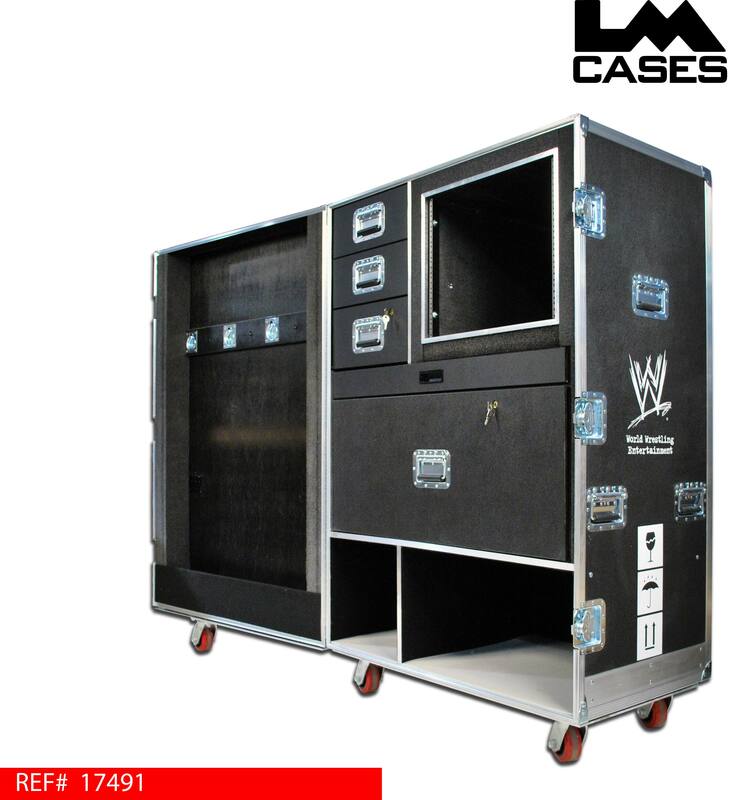 WWE chose to build the case using 1/2" composite panels to allow for easier global touring. By not using traditional plywood panels, the risk of unintentionally transporting wood burrowing insects was eliminated. Even the wheel pad was made from 1/4" thick aluminum versus the standard Birch plywood. The "zero wood content" option helps them get through customs much quicker without the need for fumigation. 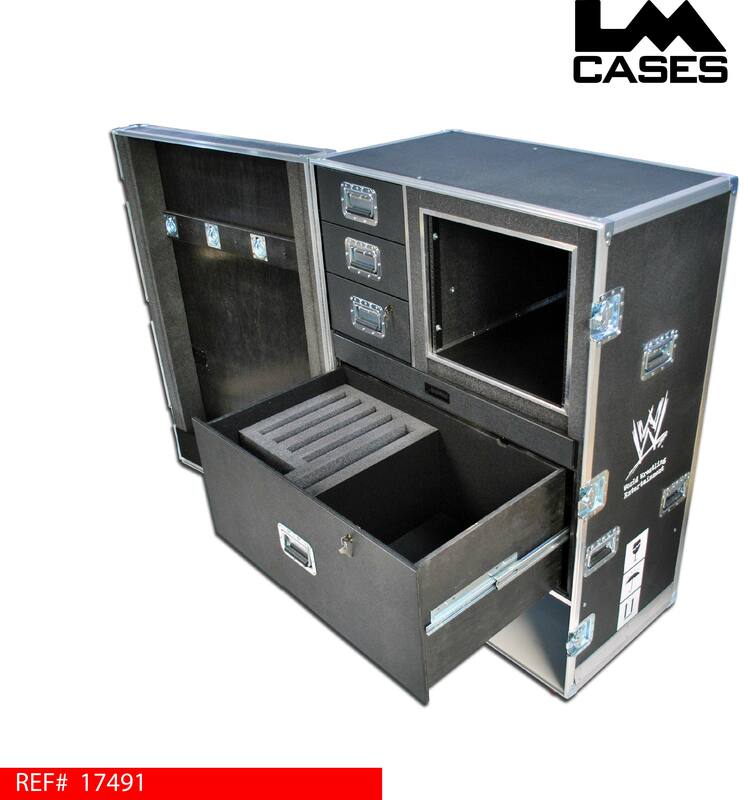 The case is designed to be a mobile hub, serving the need of holding laptops that get distributed daily; and the upgrading and maintenance of all of the computers that WWE has on the road. The three small drawers are lockable, and hold software, tools, and misc items. The case also features a 9RU shock mounted rack that holds backup network gear. Below the rack is a large pull out work surface that is laminated with black formica. The large drawer is designed to hold laptop computers in a custom cut CNC insert. The case also features storage under the drawer section for misc items. 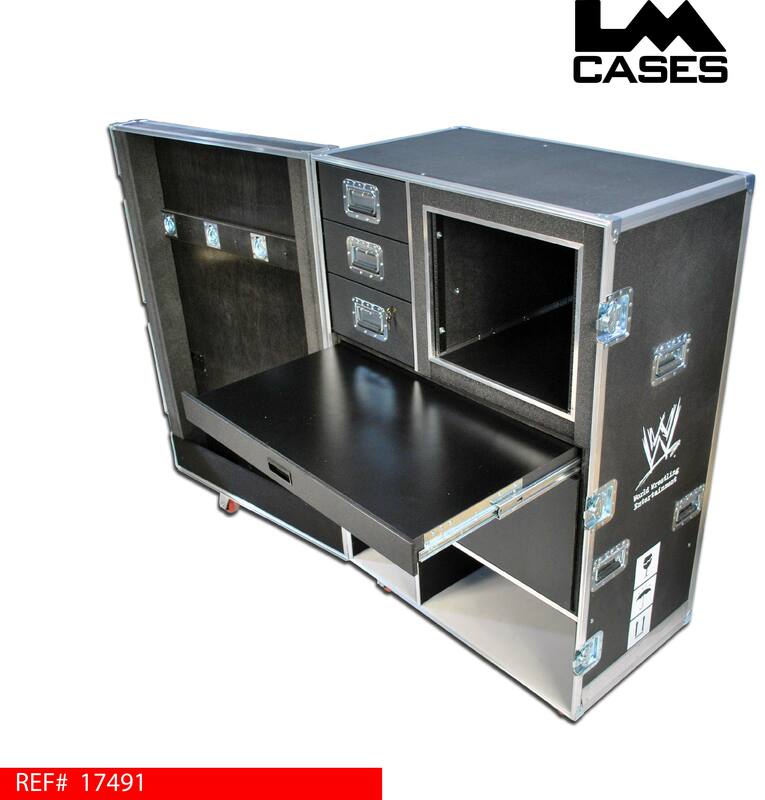 As previously mentioned the case is built using 1/2" composite panels, and a 1/4" aluminum wheel pad allowing the case to have zero exterior wood content. 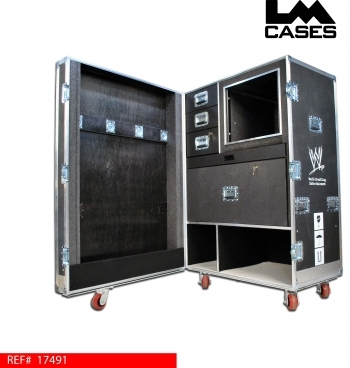 The case is riding on HD 4" x 2" casters, and features deep recessed handles. Special thanks to WWE!